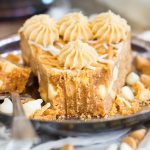 No-bake white chocolate peanut butter cheesecake with a thick peanut butter blondie crust that just won’t quit. This one is a show-stopper! How many pounds of Reese’s cups can you fit into one dessert?? Let’s find out. This recipe is one of several pride and joy recipes for me! I love all the recipes that I share, but I do end up having personal favorites, and ones that I love a teeeeeny bit more than others. I wouldn’t share anything that wasn’t stupendous in the first place. It has to be a winner or it doesn’t make the cut and it ends up in the annual recounting of my recipe fails. It has to be great according to my own opinion, and the opinion of the friends, family, co-workers, and sometimes neighbors. One of my neighbors brings over fresh eggs from their chickens, and so I return the favor with baked goods, often using said eggs. The other neighbor drops off tomatoes or grapefruit here and there, and also cooking magazines. It’s a pretty good set-up on either side of the house. 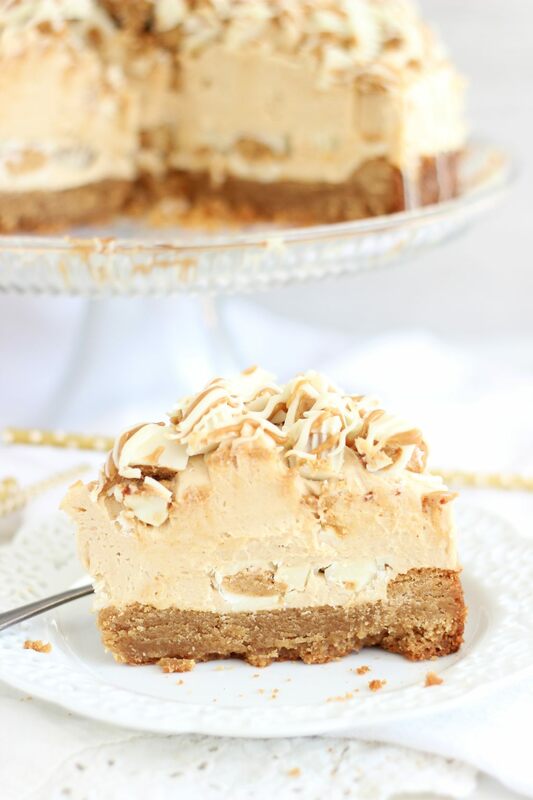 Among my usual test subjects, it was unanimous: this White Chocolate Peanut Butter Blondie Cheesecake is as decadent as it gets. It would be hard to top this. And it’s totally amazing. To me, the only other recipe that it rivals in terms of decadence is my Peanut Butter Cup Brownie Torte recipe. That is still one of my absolute favorite recipes of all-time. 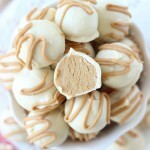 Of course, it’s no coincidence that some of the most decadent recipes I have are based around peanut butter. That incredible torte is stacked high with layers of fudgy brownies, peanut butter buttercream, chocolate ganache, and whole, full-size Reese’s cups. It’s truly spectacular. 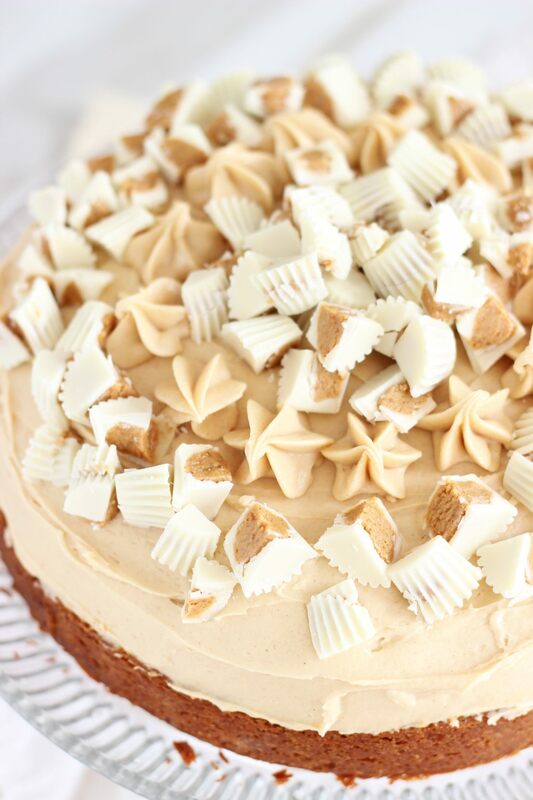 This White Chocolate Peanut Butter Blondie Cheesecake recipe is nothing short of spectacular either. The crust is basically a massively thick and soft peanut butter cookie. 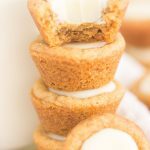 It’s technically a double batch of my Easy Peanut Butter Cookies recipe (only 3 ingredients to those cookies!). 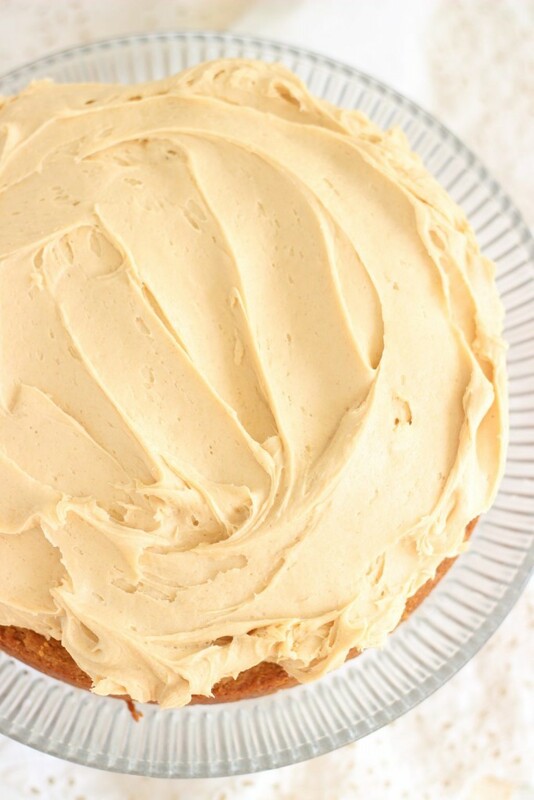 Baked to perfection, still soft and chewy in the center and crisp on the edges, this super thick peanut butter blondie is unreal all on its own. But we aren’t gonna stop there. Once the crust cools, I covered it with an entire layer of white chocolate Reese’s peanut butter cups. Then I loaded it high (really high!) with a no-bake white chocolate peanut butter cheesecake. All in all, the cheesecake layer is nearly two inches thick. To top it off, I sprinkled it generously with chopped white chocolate Reese’s peanut butter cups, a drizzle of melted peanut butter, and a drizzle of melted white chocolate. 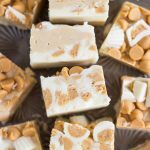 Let’s put it this way – if you’re unsure about this dessert, besides the nearly two-inch thick layer of cheesecake and the inch-thick layer of peanut butter cookie crust, it has a pound and a half of white chocolate Reese’s cups in it!!! Oh my goodness. White chocolate Reeses are my favorite! This looks like a dream. 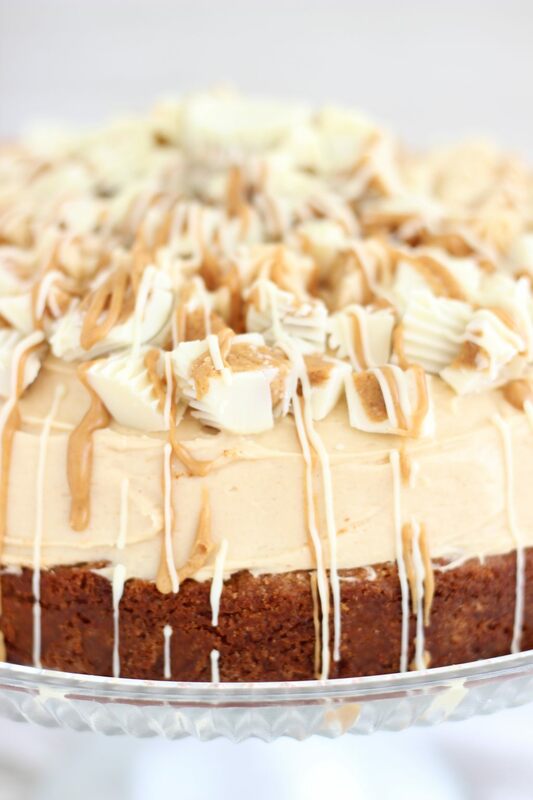 This cheesecake looks absolutely HEAVENLY !! It sounds absolutely divine! Added to my “recipes to try” list, though I’m pretty I’ll never be able to make it as pretty as yours..
I’ll try to join the party. Thanks, Teresa!! Wow, Sarah! This looks amazing! I discovered your site while researching recipes for chocolate bark, and I’m so glad I did. This is absolutely going to be my next creation! 🙂 Thank you so much for sharing your great recipes!! I am dying!! This looks absolutely amazing. 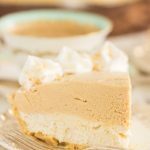 I am adding this to desserts to try for big family events! This is pure decadence. 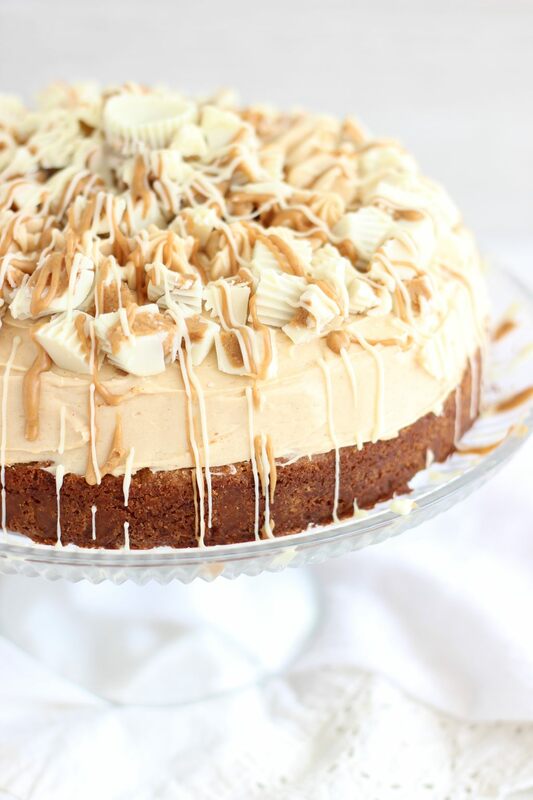 I made your peanut butter torte for Christmas to universal acclaim. This looks even more majestic. I think you could make it Christmas-y by saying it’s White Christmas. Unbelievable. Remind me this is there at Christmas time. Oh gosh… yes, I definitely fail a lot. I’m glad you felt better about your own kitchen adventures! Definitely happens to all of us. Lol! 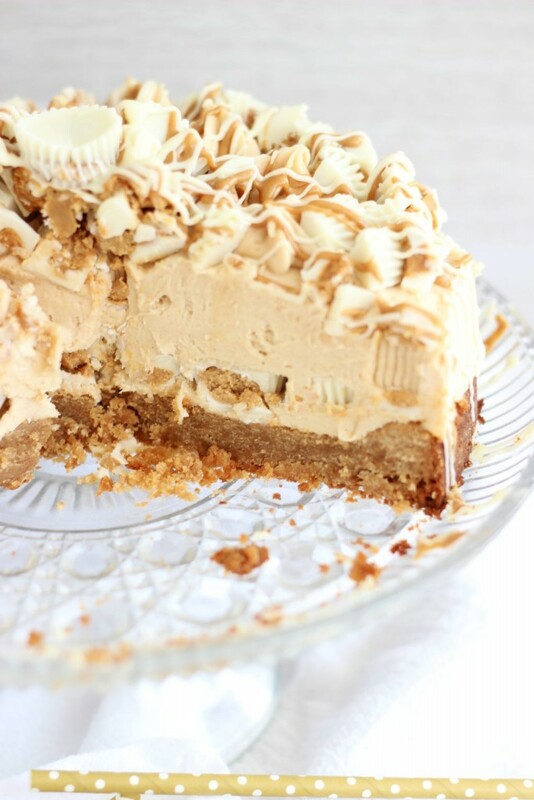 This looks so amazing and then when i saw “No bake!” I was so excited. Pinned!! 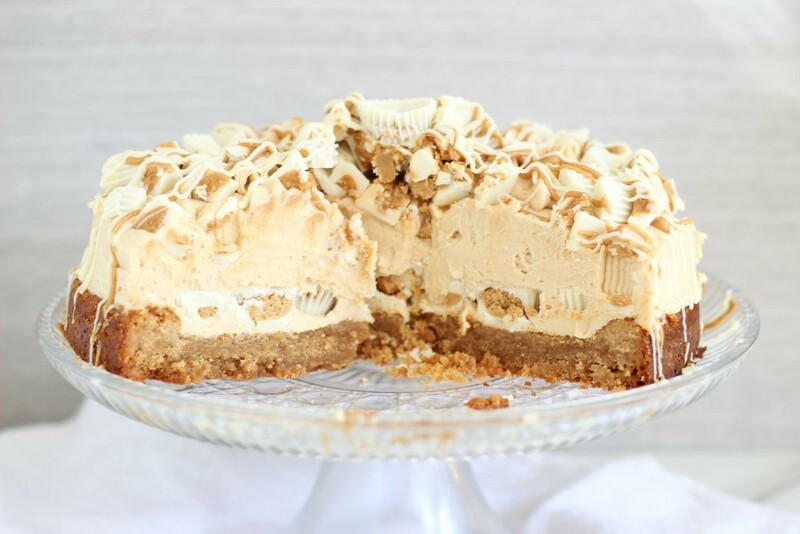 Just the cheesecake part is no-bake! Drool! All my favorites! Pinned and shared. Thanks for sharing with us at Throwback Thursday! Wow, that’s awesome news! Thank you so much, Karren!! This looks amazing! Oh, my yum! Thanks for sharing at the Inspiration Spotlight party. Pinned & shared. Yay! So glad you like the recipe! It looks divine! 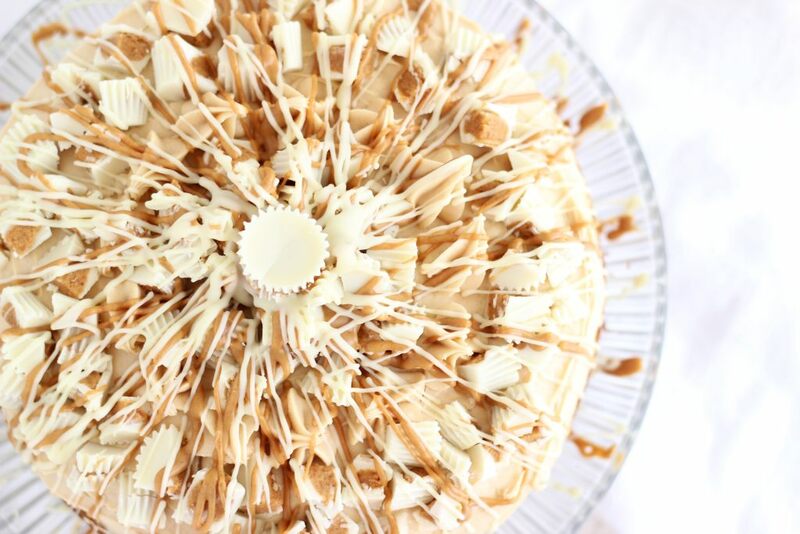 I want to make it for my Dads 92nd birthday but I can’t find the recipe! I’m technically challenged ? Hi Colleen: It’s right in the post! Did you view the post on mobile? You might need to click “Read more”. I can email it to you though. Thanks! This really does osund so good. Can’t wait to give this a go. Thanks for sharing. Awesome! Let me know if you try it!! Sweet!! Let me know how you do! I would like to make this, however, the ingredients list is a bit confusing. I’m an inexperienced ‘baker’. Do you mean 1 cup in total or 2 and a 1/2 cups? It is actually clear, lol. I just wanted to be certain. I will post my results!!!! Okay, awesome. I’m glad it makes sense. How did it turn out? Def let me know. I hope you love it!!! Hi Nickie! I’m sorry for the delay! 9-inch should be fine – just check the baking time on the crust a little earlier in the baking process since it will be thinner. I hope that helps! Let me know how it turns out!!! The pan size could’ve made the peanut butter crust a bit crustier! I would let it out for about 20 minutes before serving. That should get the crust softer, but not get the cheesecake TOO soft! I really like cakes with peanut butter, a super recipe .. I save and use! ? 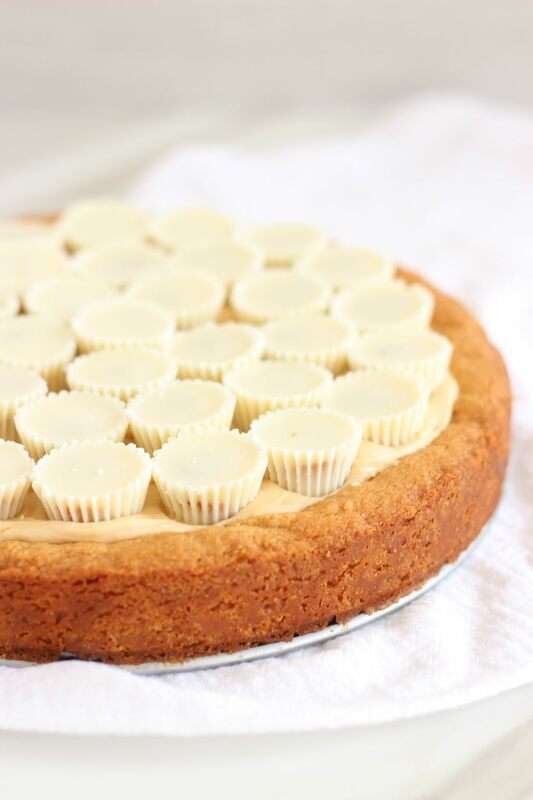 I will be baking your White Chocolate Peanut Blondie Cheesecake for a office party potluck. However, I will most likely have to make it into a full size sheet cake to feed all of my staff. Do I need to increase the increments for the ingredients in the recipe for a full size sheet cake? If so, do I double it, triple it? Any other instructions when transforming this into a sheet cake? Oh, no… I’m sorry to hear that. I didn’t have any issues, and I’ve used that blondie base for other desserts in the past. It’s typically sturdy. I hope the freezer was able to save it for you. This is stunningly styled with the drizzles and candy on top!! I LOVE snickerdoodle bottomed cheesecakes. I have one on my blog that I repeatedly come back to! I will have to try yours! Looks so very yummy!